All About the Herd: Africa's only cowlike mammal makes its home in a variety of habitats at altitudes up to 13,200 feet. Herds can be as large as 2,000 individuals, which are dominated by large males, when food is plentiful. 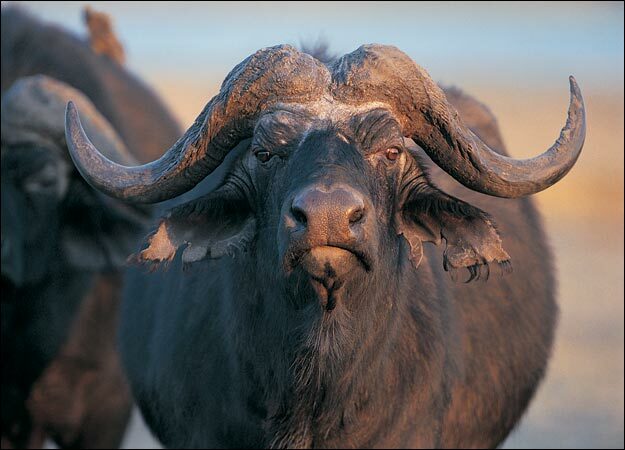 When food is scare, African buffalo find it advantageous to split up into smaller groups. Members mutually groom each other and make noises to communicate.